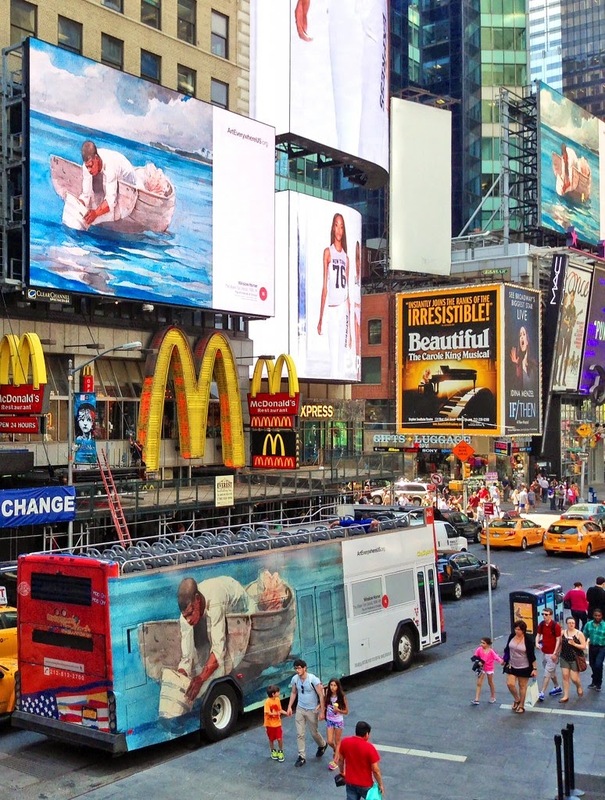 Art Everywhere is a collaboration between the OOH industry and 5 major American museums. The contributors should tell you a lot about who plans to benefit from the initiative. Thier stated goal is to bring art to the people across multiple advertising formats throughout the month of August, but thier true intentions are to entrench the current system of public image consumption and outdoor advertisings control of our shared visual environment. It seems like a campaign of this nature crops up every year or two to rave reviews and public applause as the altruism of a benevolent industry showers us with its good graces and culture to boot. PBS, NPR and a few other news outlets have weighed in on the topic and some critics are underwhelmed, and rightly so. The museums involved speak of increasing attendance, which is already at record highs, while bringing culture to an audience that might not otherwise enjoy such masterful works. While this might be a good idea in practice, the art presented doesn't carry the weight of a true artistic endeavor but references an artwork that is probably worth going to see in real life. while I would agree that the art images are better than the advertising, what we pay for this glimpse into what could be is far more than the benefits of a few less ads. What I find interesting about campaigns like this is that they openly admit to the fact that our current system of public space image consumption is wildly skewed towards commercial messaging and we are in desperate need of a little culture on our streets. What campaigns like this don't speak about, and in fact attempt to distracts us from, is that the reason we have so little culture on our streets is that the OOH industry likes it that way. They have for all intents and purposes bought up our public visual landscape and are using our visual attention to reap huge profits from those corporations willing to pay for that attention. Any fundamental change to this system would get in the way of a very lucrative business model and therefore it is worth it to spend a little money printing up Degas in an effort to quell any of our objections. As a public it is our responsibility to realize this type of altruism is a distraction meant to turn our attentions away from the fact that our public walls are not in fact public but commercially operated ad venues. A truly democratic visual public environment would have no need for an Art Everywhere program as the citizens of our cities would litter our streets with the culture of our cities bringing a lot more than oil paintings to our mass transit systems but rather real dialogue and issues of local concern. 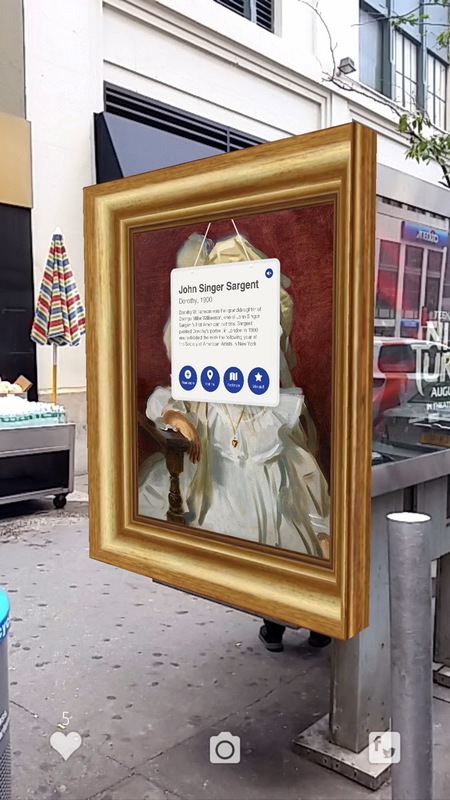 on a side note, many Art Everywhere ads have an Augmented Reality component run by a company called BlipAR. this cloud based recognition system scans the "artwork" which can take up to a minute. Once it recognizes the work it puts a cheesy frame around the work and an audio guide tells you a little about the piece. My obvious interest in AR had me testing these all over the city and I can't wait to launch NO AD and show this big company how to truly do Augmented Reality in NYC.